Hi Friends! My lemony rhubarb scones were a hit last week, so much so that I made them again with an added punch of tartness. 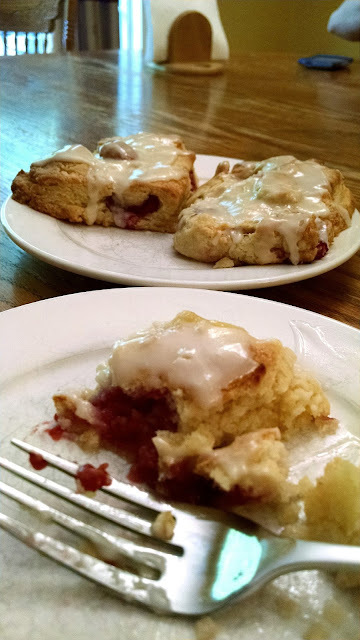 I like my scones to have some crispness on the outside while being tender on the inside. 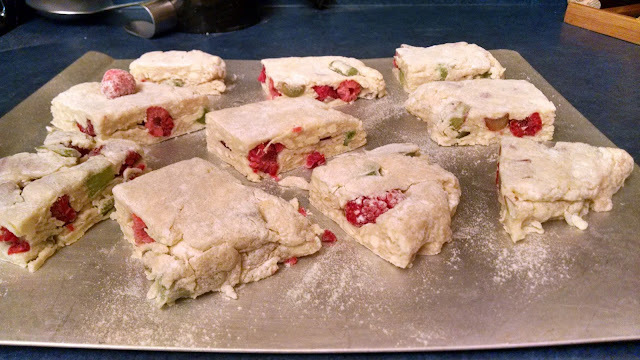 Yes, they tasted as good as they look. 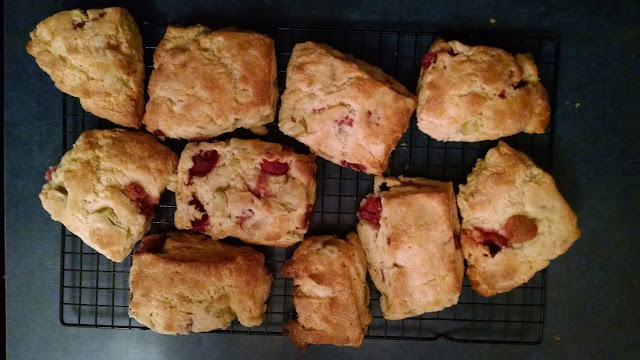 * For the recipe, refer back a few days to my lemony rhubarb scones. 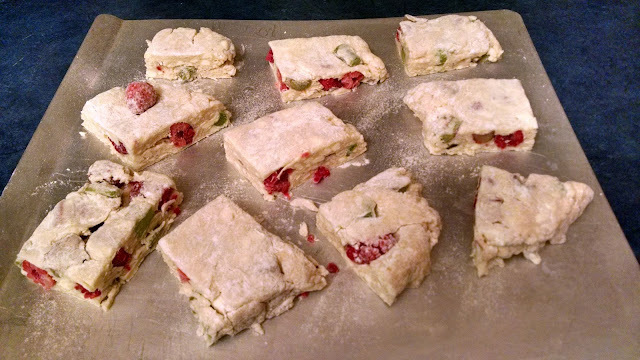 Fold in 3/4 cup of frozen raspberries. Hope you have a wonderful evening. Take care. 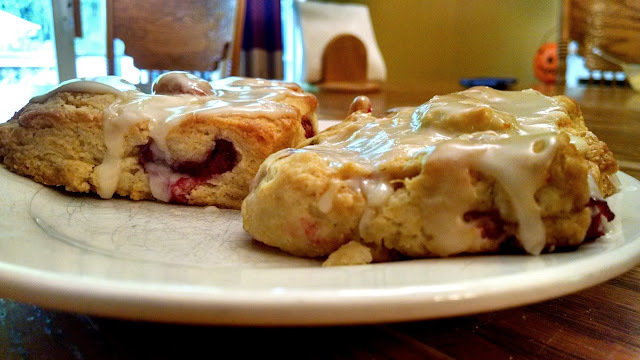 Eat Scones. Love ya all!